I’ve just installed a new blog and thought I would try FR, I think it looks great and hopefully you can fix this issue for me. 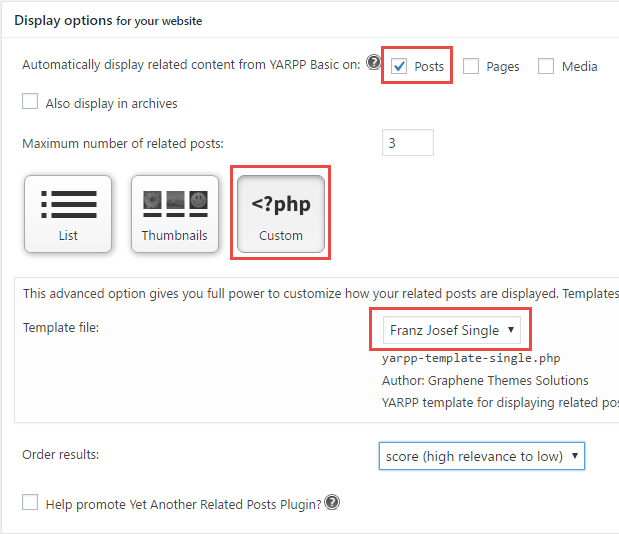 I like to Use Yet Another Related Posts Plugin, but unfortunately it will not work with FJ running, if I switch to 2015 then it works just fine. Any chance of getting this fixed? Please provide a link to the page where this is happening so that we can take a look. Hi there, thanks for the response, however that template option is not showing up, where do I get it from? Excellent, that worked! Thanks very much it looks great now.